Have You Caught THE FEVER? 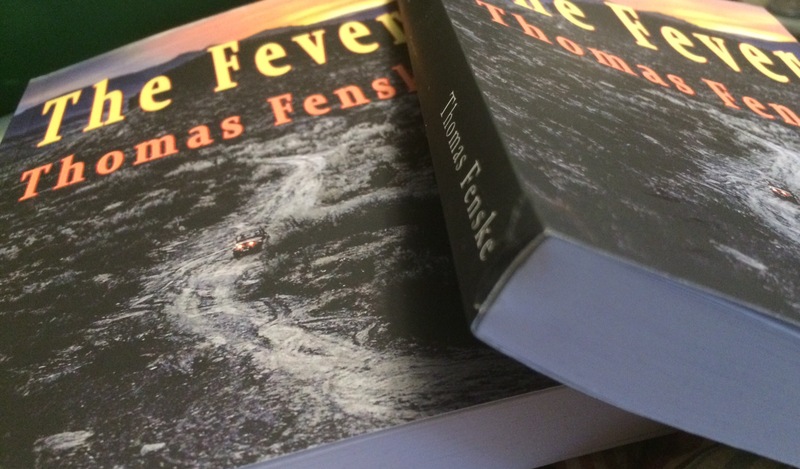 I’m hosting a giveaway through Amazon for a copy of The Fever. Three copies are still up for grabs. Trust me, it’s not just another “lost gold mine” story … find out for yourself. This giveaway is to celebrate the Hilah Cooking video detailing a dish described in the novel, Huevos Rancheros Especial. Click below, and watch the video (it’s a short video) and maybe you’ll win a Kindle version of The Fever! Don’t have a Kindle? The free Amazon Kindle reading app can run on your tablet, your phone, your computer … there is no excuse not to enter! If we were having coffee, I’d be complaining about how hard it is to sell a debut novel. I’d tell you how all my author friends say the first book is the hardest but to keep at it. They always assure me that by the time I publish the third or fourth book I will be on my way. But then again, they’re not really friends, are they? They are the competition. I’ve always secretly wished someone would name a sandwich after me. That has long been my theoretical high-water mark of fame. I’ve just about given up on that one, but I’ve always subscribed to the notion that if the wind is just right, sometimes a wisp of fame might blow across one’s brow. I feel a bit like that today because something exciting has happened: The popular YouTube cooking show, Hilah Cooking just released a new video featuring a dish inspired by my novel, The Fever. I am very humbled by her effort. In the novel, the dish Huevos Rancheros Especial, was a specialty of a café that is not only mentioned, becomes a major locale in the book (as well as the upcoming sequel). Okay, I confess, I’ve known Hilah for a quite a while and, since she is a friend, she read my novel. I am gratified that she said she really liked it. We kind of joked about her doing a video early on, but then I realized something … she was serious: she really wanted to recreate the dish. Ah, but first I had actually make the dish I had described. Think “Proof of Concept” here. I did, and I have to admit that it was delicious and although I had completely made it up for the book, it tasted exactly like I had imagined it would. Like any great cook, Hilah took what I did and tweaked it to fit her style. And of course, she knew what to do to make it look great on screen too. She did an awesome job! Did I say I was humbled? I am downright gobsmacked! So I urge you to go watch the video, and while you’re there check out some of Hilah’s other awesome videos. You will be there a while because there are a LOT. Picture me blushing right now – I may not be famous but I am surely honored. Interested in the book? Please buy it >>>> details on THE FEVER here!